GOOD LUCK!!! YOU CAN DO THIS!!! 01/18/2015 08:44:38 Dentalelle Tutoring: Good morning everyone! 01/18/2015 08:47:27 Alex from T: Good morning! 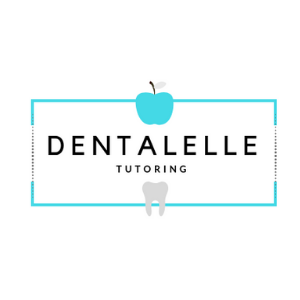 01/18/2015 08:49:33 Dentalelle Tutoring: My pleasure! 01/18/2015 09:09:34 Dentalelle Tutoring: Great question though thank you! 01/18/2015 09:12:00 Dentalelle Tutoring: After you etch, what do want the tooth to look like? 01/18/2015 09:18:23 Dentalelle Tutoring: Thats right Alex, good for you! 01/18/2015 09:19:33 Dentalelle Tutoring: If the exam asks - the smear layer is a combo of debris, plaque, bacteria - its on top of the tooth and the etch removes it so its a clean surface for a sealant, filling, etc. 01/18/2015 09:22:28 Dentalelle Tutoring: AND what are the post op instructions to give the patient and parents after a sealant? 01/18/2015 09:23:05 Dentalelle Tutoring: Oh no! Thats ok Tracy, was it your computer or the AnyMeeting software? 01/18/2015 09:26:40 tracy from Hamilton, Ont: i had a question regarding abuse. 01/18/2015 09:27:06 Dentalelle Tutoring: Yes Tracy go ahead! 01/18/2015 09:27:31 tracy from Hamilton, Ont: if you suspect abuse on a child or adult but not enough evidence to report it, what do we do? 01/18/2015 09:28:13 tracy from Hamilton, Ont: if i tell the dentist and he tellss me not to sayi= aything cause i dont have enough evidence to report it do i still or not? 01/18/2015 09:29:23 Dentalelle Tutoring: For abuse cases you cant be of course, but better safe then sorry. Has that happened to you Tracy? 01/18/2015 09:29:59 tracy from Hamilton, Ont: so, even if the dentist says if you report it, you will lose your job, dont listen to him and go report it? 01/18/2015 09:30:19 tracy from Hamilton, Ont: i absolutley agree i would report it regardless. 01/18/2015 09:31:37 Dentalelle Tutoring: And he wouldnt be able to find out if you reported it anyway. You could mention that when you report it "I want to be kept anonymous because my boss has threatened to fire me if I call you"
01/18/2015 09:31:42 tracy from Hamilton, Ont: alright. thanks i was definitly pondering over that bevause i would report it but i was thinking what if. 01/18/2015 09:33:26 Dentalelle Tutoring: Yes very wrong! 01/18/2015 09:35:26 C: andrea what is a festoon? 01/18/2015 09:42:48 Alex from T: and exudate means pus right? 01/18/2015 09:44:36 Dentalelle Tutoring: Question for you all - is bleeding normal when probing? Even just a little? 01/18/2015 09:48:49 tracy from Hamilton, Ont: cancellous bone is also called trabecular bone? 01/18/2015 09:50:15 Dentalelle Tutoring: What is compact bone also called? 01/18/2015 09:50:53 Dentalelle Tutoring: Yes Carrie good! 01/18/2015 09:51:34 Dentalelle Tutoring: Tracy did you know that compact is also cortical? 01/18/2015 09:53:14 Dentalelle Tutoring: Excellent! 01/18/2015 09:54:15 Dentalelle Tutoring: What do you all think? edge to edge and end to end? 01/18/2015 09:55:30 Dentalelle Tutoring: Yes so far so good :)..
01/18/2015 09:58:27 C: and open bite is when they dont touch? 01/18/2015 09:59:53 tracy from Hamilton, Ont: actually, down syndrome can have open bites due to tongue thrusting, or no? 01/18/2015 10:08:05 Dentalelle Tutoring: Whatever helps! 01/18/2015 10:08:28 tracy from Hamilton, Ont: is black hairy tongue associated with HIV as well? 01/18/2015 10:08:28 C: i have another question prognathic is class 3//? or is it class 2? 01/18/2015 10:10:13 Dentalelle Tutoring: Excellent question! Another must know! 01/18/2015 10:11:36 tracy from Hamilton, Ont: awsome. 01/18/2015 10:16:50 Dentalelle Tutoring: What is considered a moderate overbite? 01/18/2015 10:18:08 Dentalelle Tutoring: Yes perfect! 01/18/2015 10:18:51 Dentalelle Tutoring: Thats confusing to me so I think in my miind "a little over the mand. teeth about 10%"
01/18/2015 10:19:19 C: and severe would be almost covering the bottom teeth/ maybe just a little showing? 01/18/2015 10:19:42 Dentalelle Tutoring: Yes Carrie you're right! 01/18/2015 10:23:53 C: class two is distocclusion rigth? 01/18/2015 10:26:01 Dentalelle Tutoring: :) lol good! 01/18/2015 10:27:49 Dentalelle Tutoring: Everyone good so far? 01/18/2015 10:28:08 Dentalelle Tutoring: Any questions Tracy? 01/18/2015 10:29:25 Alex from T: im looking in text and can you explain supraversion? 01/18/2015 10:32:25 tracy from Hamilton, Ont: me too....Digoxin what is that used for again? 01/18/2015 10:33:14 Dentalelle Tutoring: Good question! Do you ladies know? 01/18/2015 10:33:32 C: heart something? 01/18/2015 10:34:19 Dentalelle Tutoring: Think of "heart problems"
01/18/2015 10:35:47 tracy from Hamilton, Ont: what category would digoxin be in. antihypertensive? 01/18/2015 10:37:45 C: remineralizing means it can take away a cavity? 01/18/2015 10:41:23 Alex from T: good for incipent decay? 01/18/2015 10:41:24 tracy from Hamilton, Ont: question - What are the scores for Glucose levels on a diabetic patient. 01/18/2015 10:43:26 Dentalelle Tutoring: HbA is the test score. 01/18/2015 10:47:39 C: bye for now! 01/18/2015 10:47:49 Alex from T: bye! 01/18/2015 10:48:49 Dentalelle Tutoring: Any other questions ladies? 01/18/2015 10:49:42 Dentalelle Tutoring: And Tracy did you get the PP from Gumroad? 01/18/2015 10:51:45 Dentalelle Tutoring: Are you both taking the exam Monday? 01/18/2015 10:53:52 Dentalelle Tutoring: Great idea Alex! 01/18/2015 10:54:48 Dentalelle Tutoring: What does secondary trauma from occlusion mean and when does it occur? 01/18/2015 10:57:02 Alex from T: so with secondary i am guess trauma with bone loss present? 01/18/2015 10:57:45 Alex from T: I got it! 01/18/2015 10:59:17 Dentalelle Tutoring: Email if you need anything I am here! 01/18/2015 10:59:58 Alex from T: bye everyone!